I have really mixed feelings about today being Evan’s first day of kindergarten. I’m partly overjoyed. Evan and I really need a break from each other; he’s recently decided that he LOVES reading (hallelujah! ); he wants to be around kids his age; I’m not prepared to teach him everything his teacher is. And I’m partly anxious. I got a handout with a list of “‘I Can’ Statements” for each term of the school year, and there’s a LOT to learn. 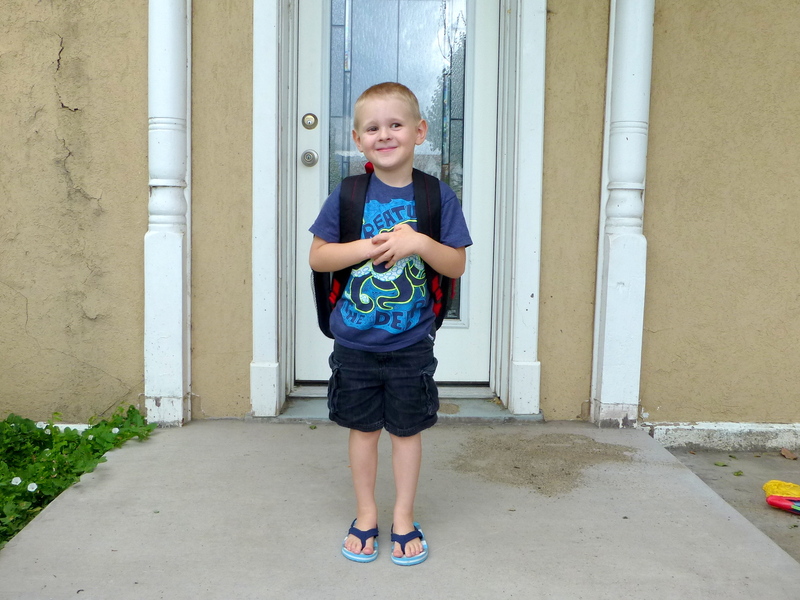 I’m anxious on Evan’s behalf – what if he doesn’t like school? What if he doesn’t make friends? What if he’s a bully?? That being said, may I present a very excited kindergartener? We did the same questionnaire as last year.